The NES Classic Edition is now Back in Stock but only at GameStop. The NES Classic was a extremely hot item with everyone trying to get their hands on it. Retailers all over have completely sold out these mini blast from the past. However a small window of opportunity might be opening. GameStop has announced that they will be receiving new shipments in their US stores this week, beginning today. 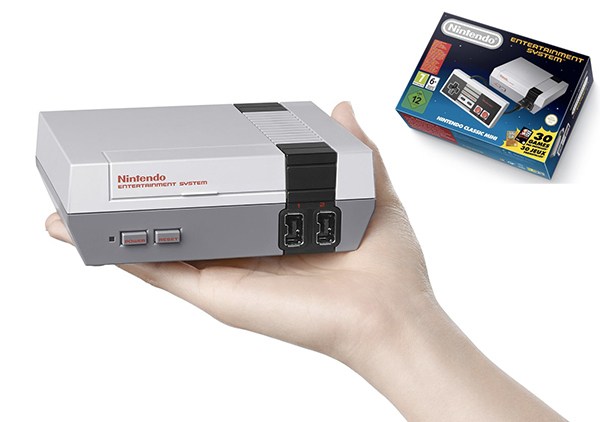 Sadly there will only be a limited number of shipments coming in so if you are planning to buy the NES Classic you are going to have to be quick. GameStop is also only allowing one console per customer, so if you would like to get more than one be sure to bring a friend. The NES Classic is priced at $60 and comes with 30 games including beloved classics such as, Super Mario Bros, The Legend of Zelda, Mega Man 2, and Castlevania. This retro system is not expect to stay in stores long so if you missed out on the first shipment nows your chance. What are your thoughts on the NES Classic? Will you be trying to get your hands on one of them? Let us know in the comments below.